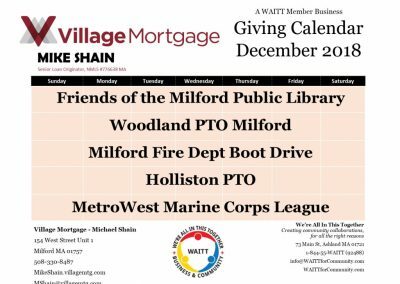 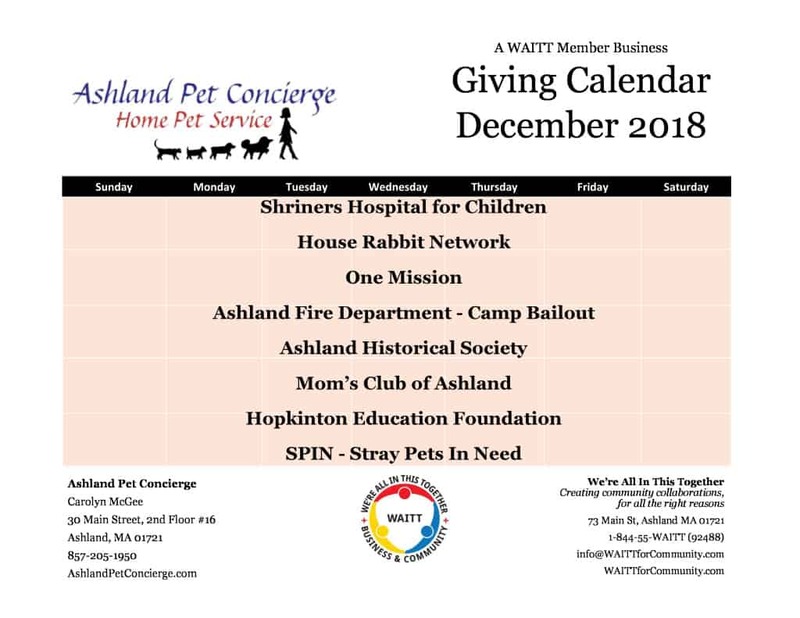 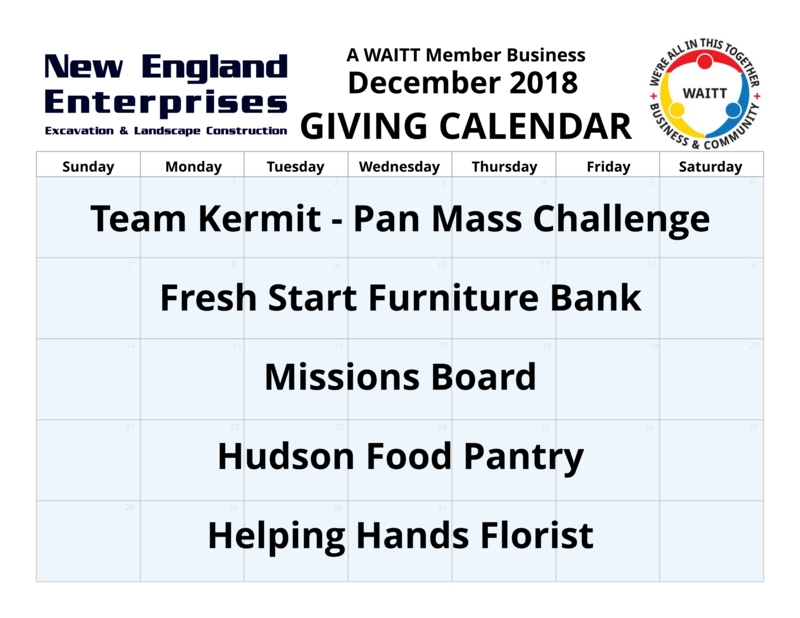 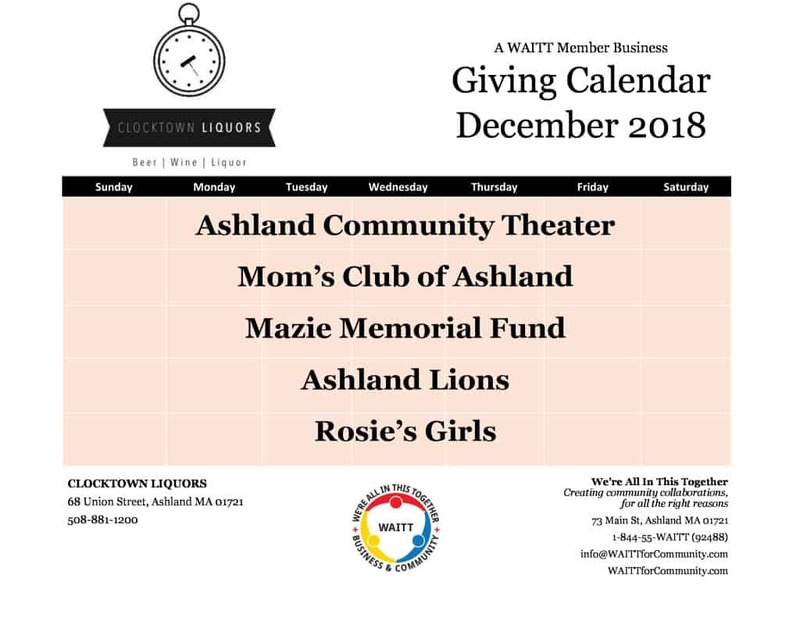 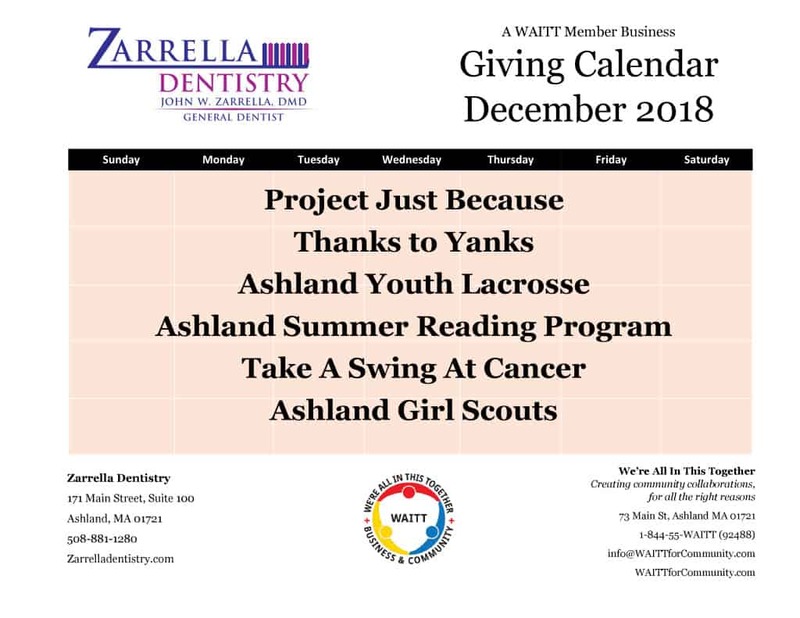 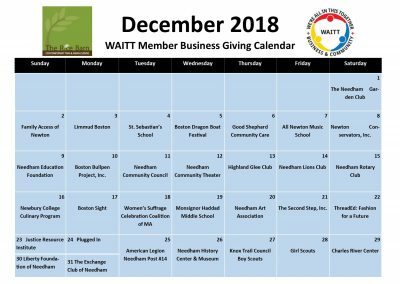 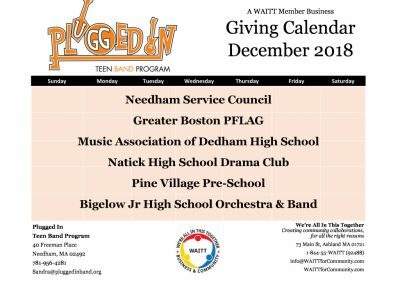 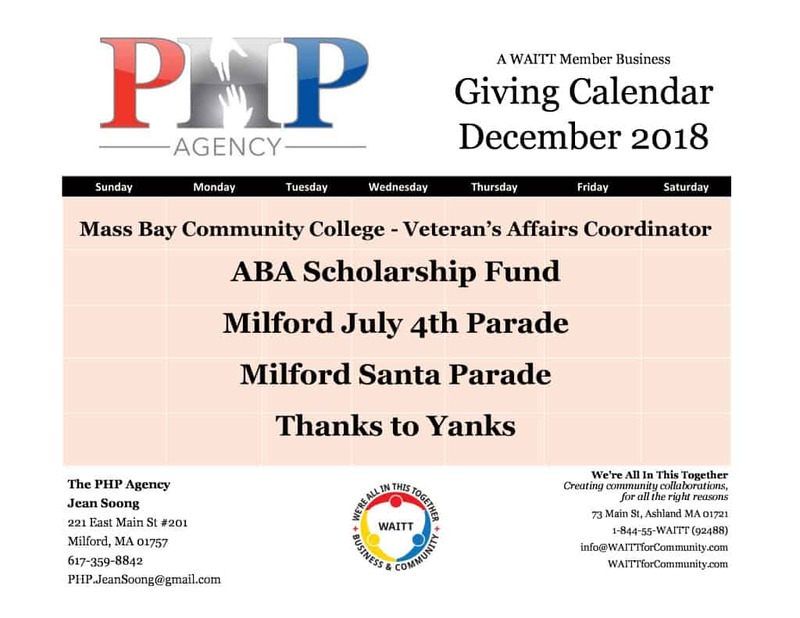 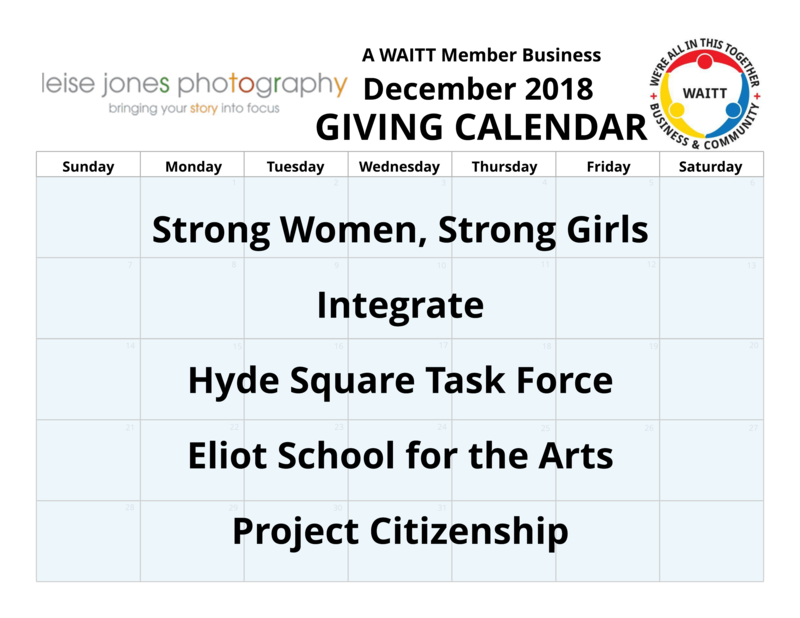 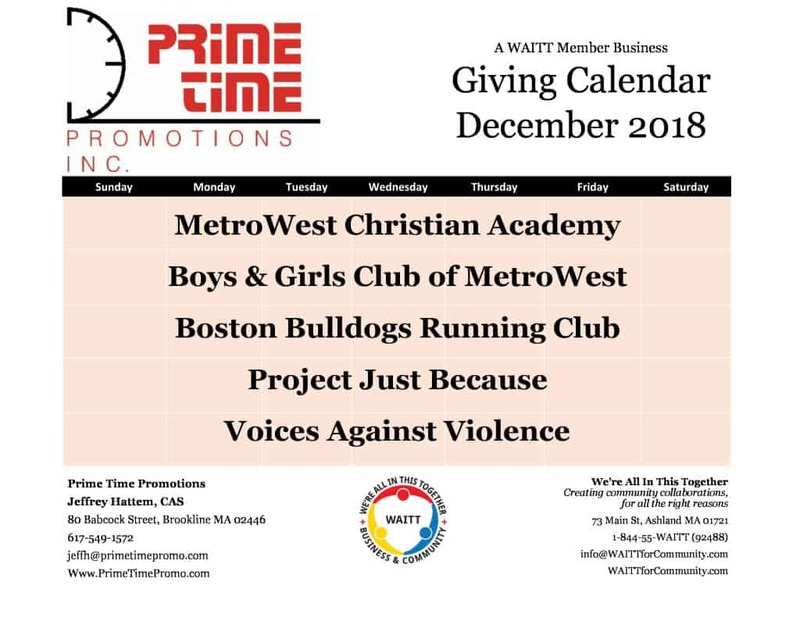 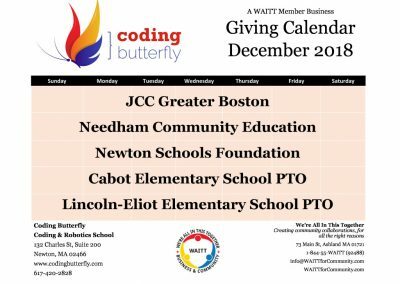 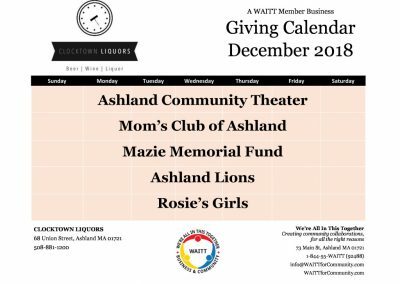 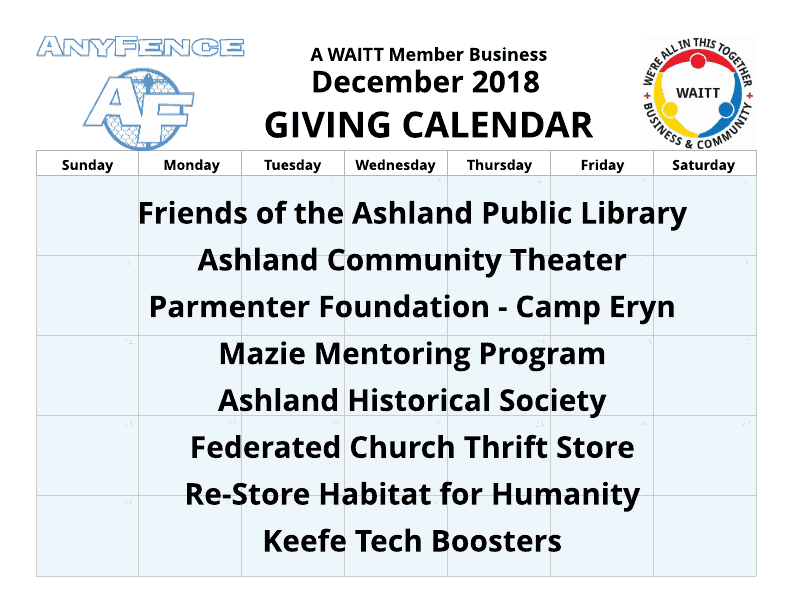 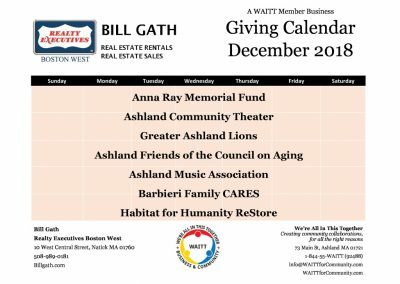 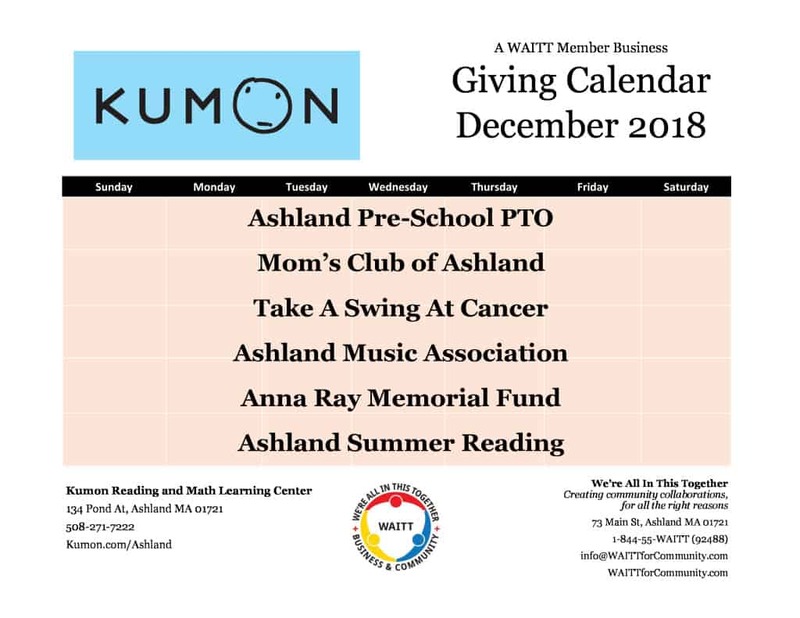 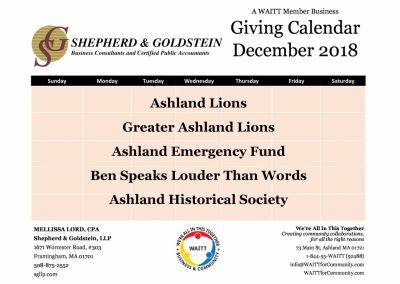 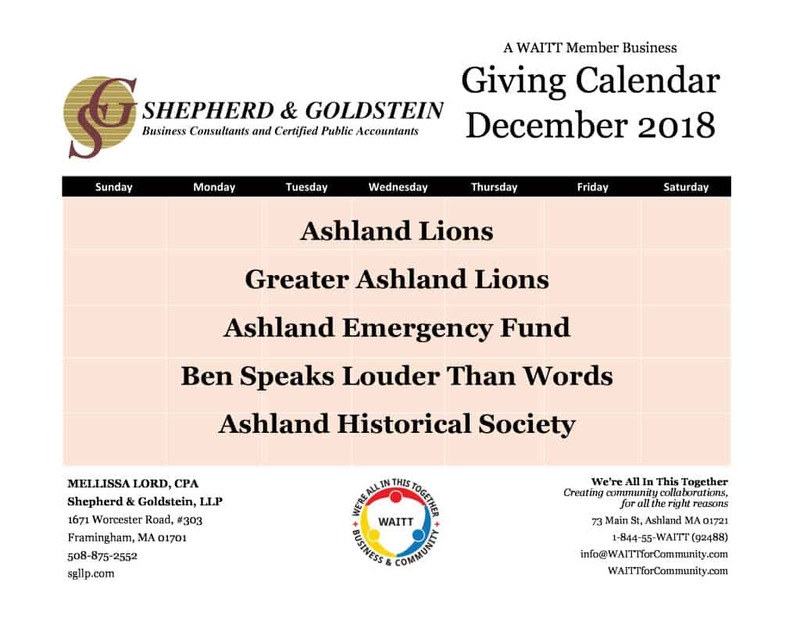 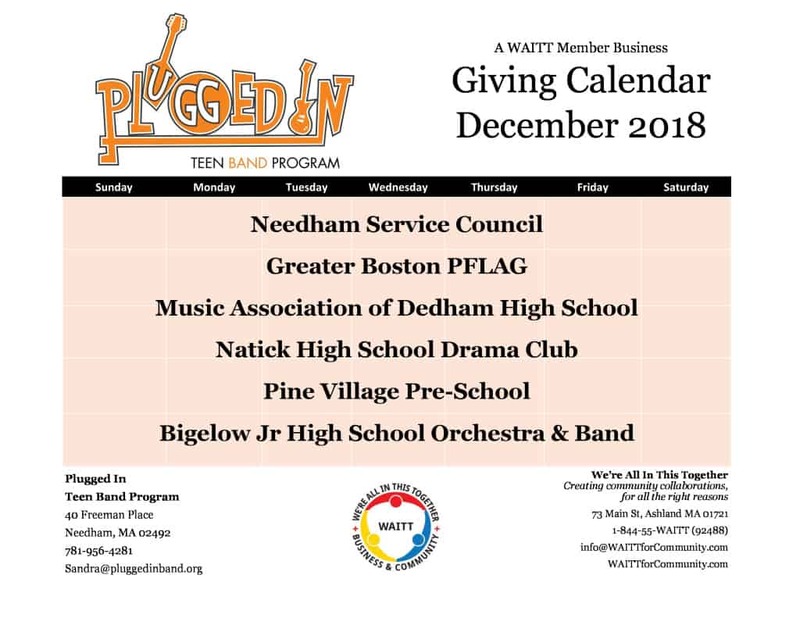 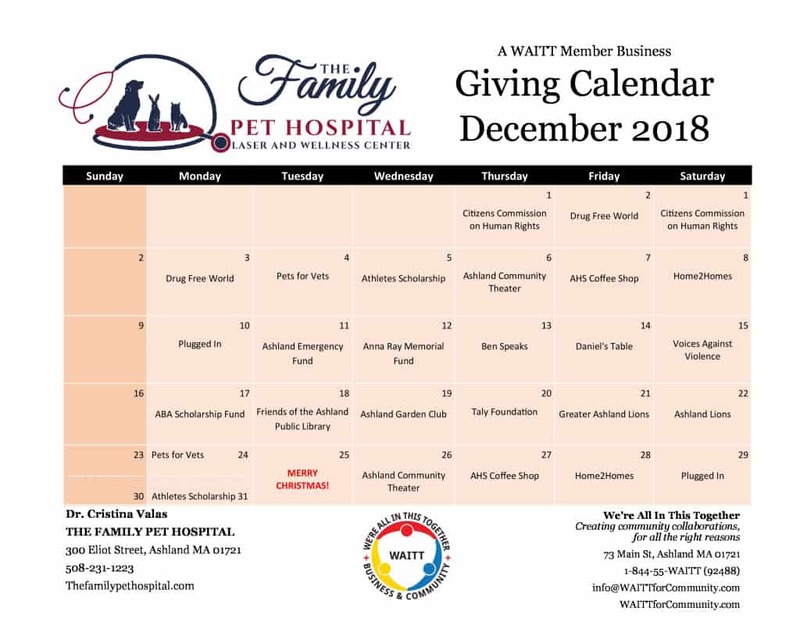 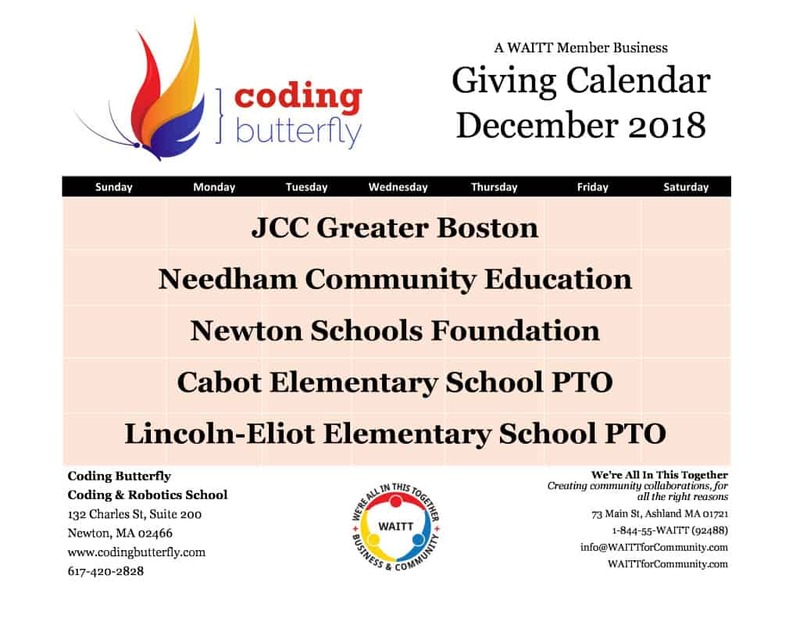 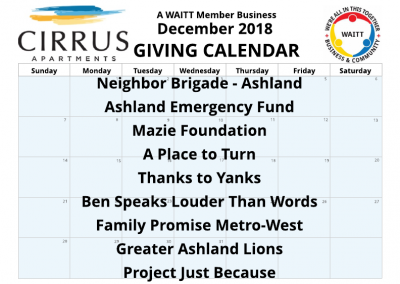 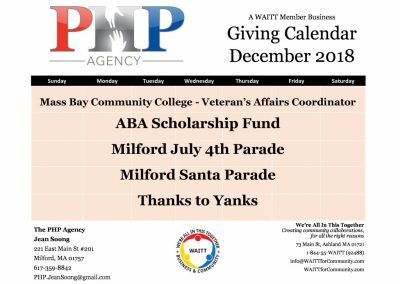 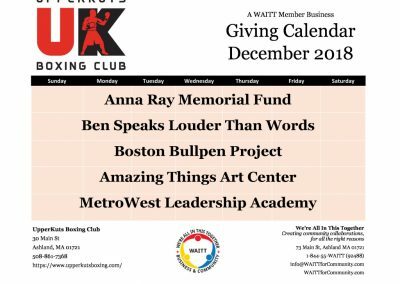 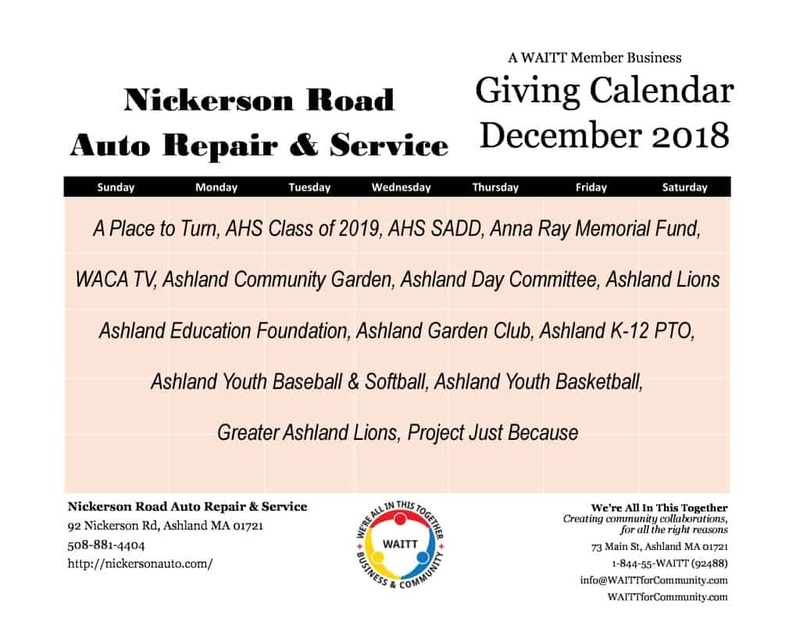 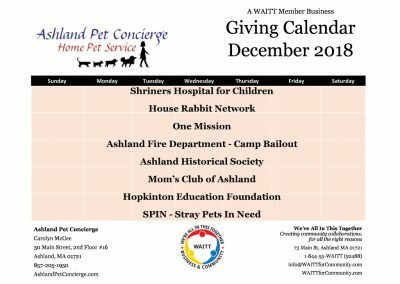 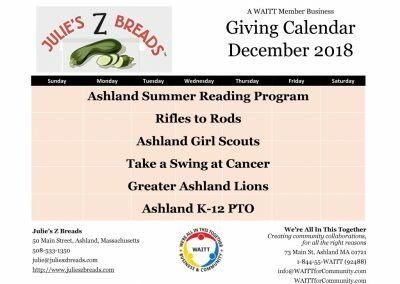 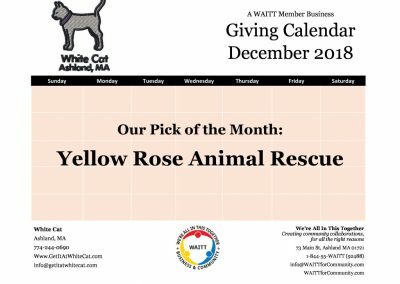 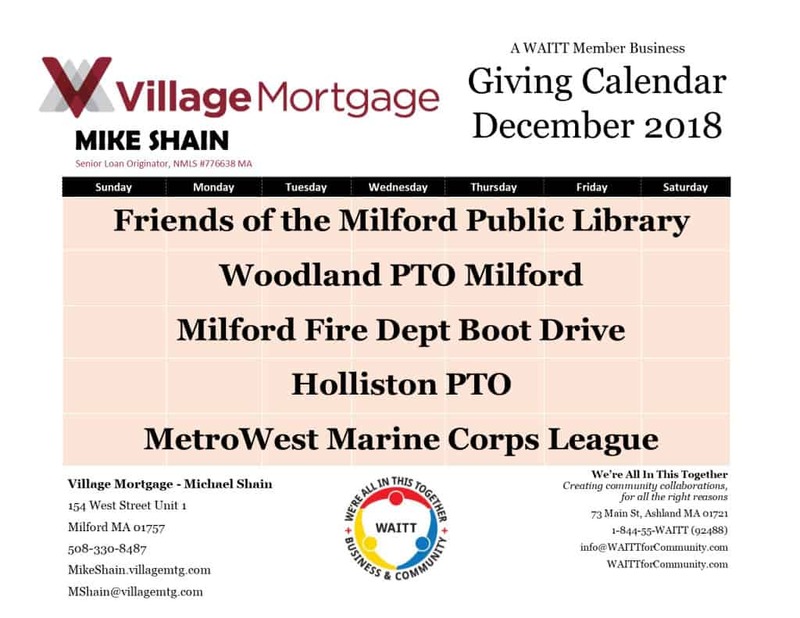 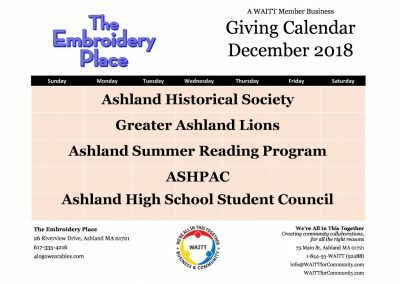 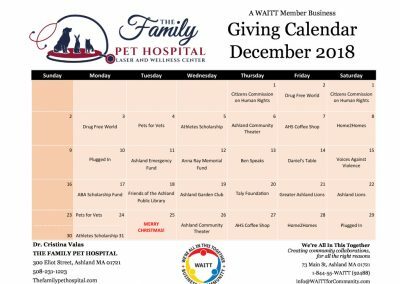 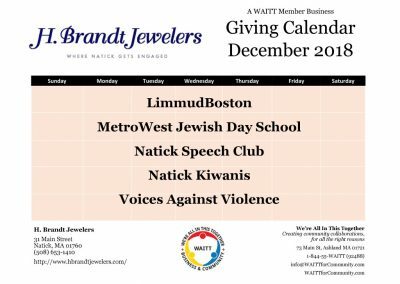 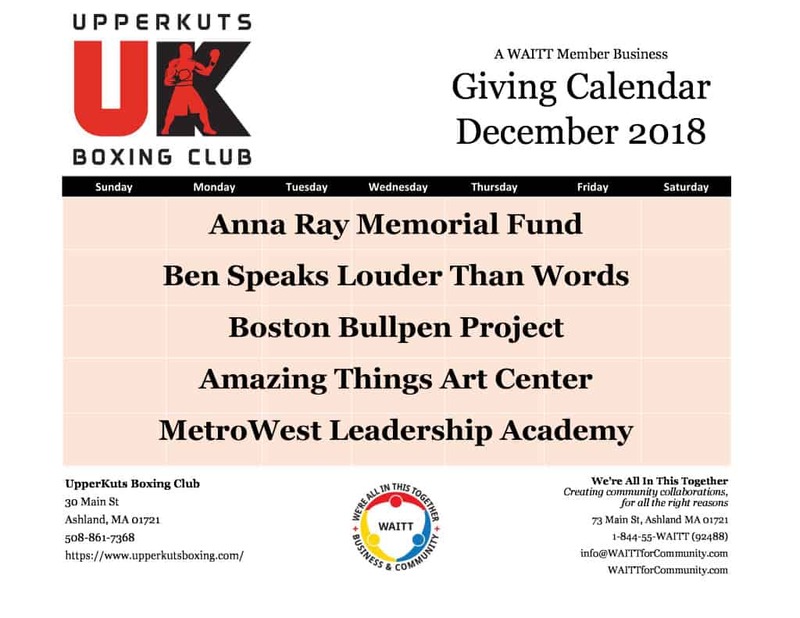 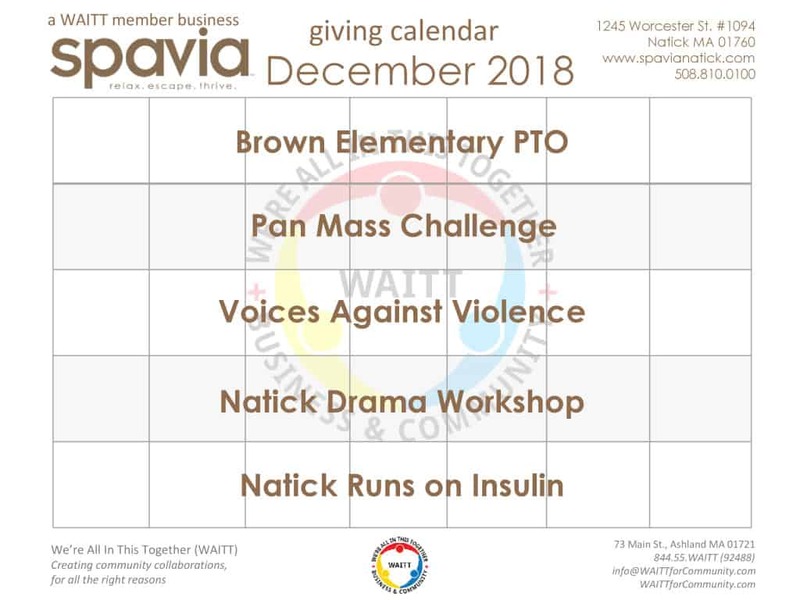 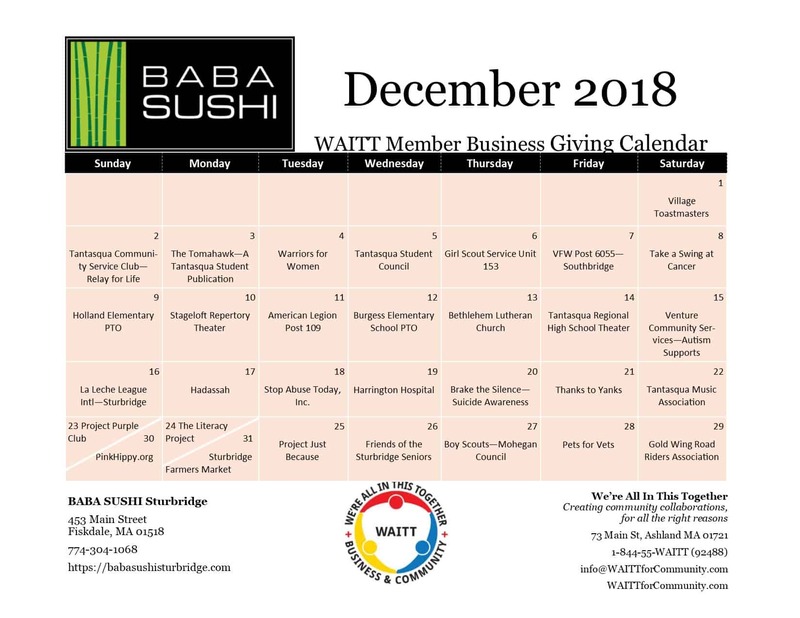 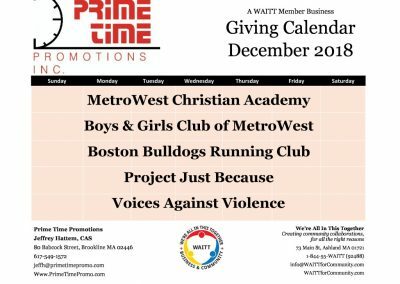 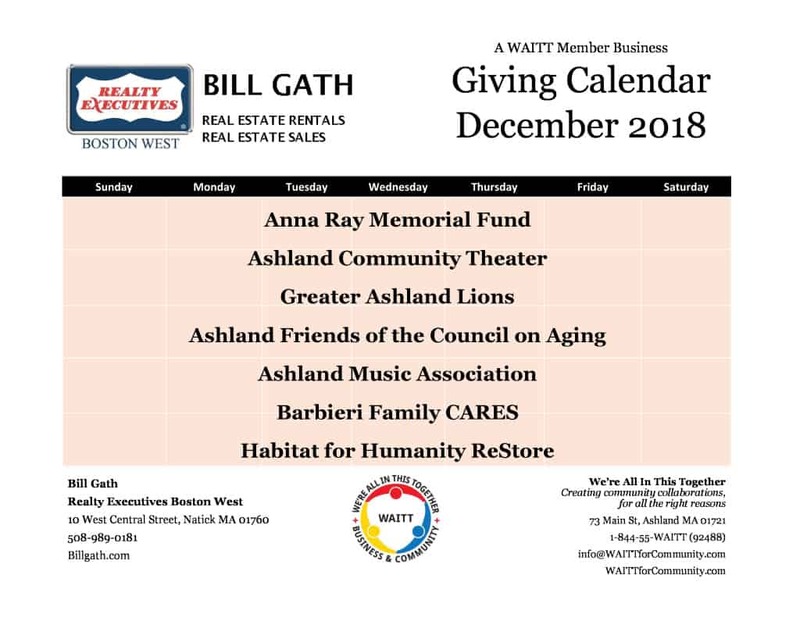 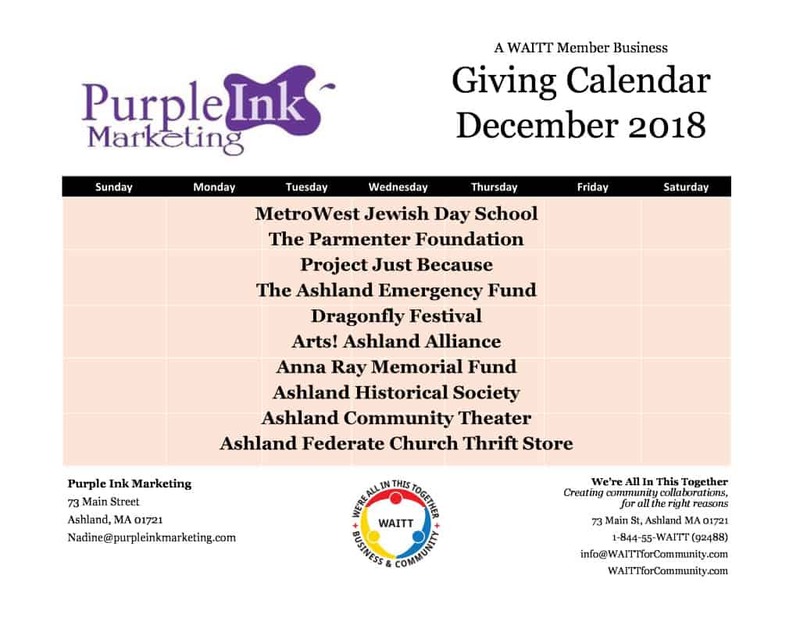 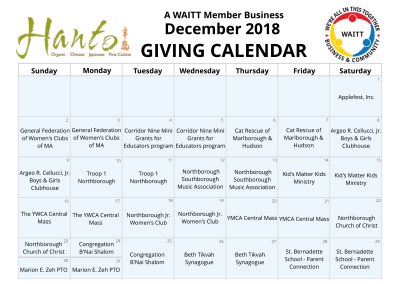 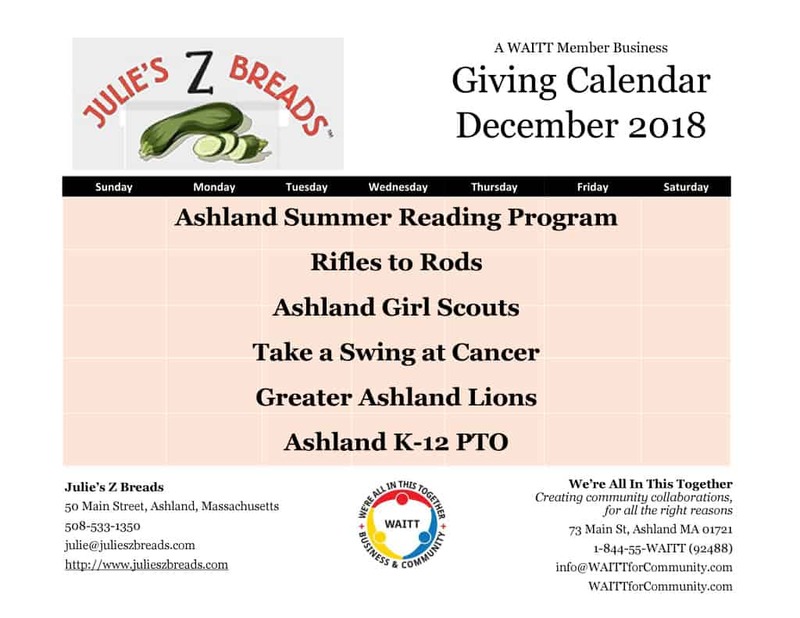 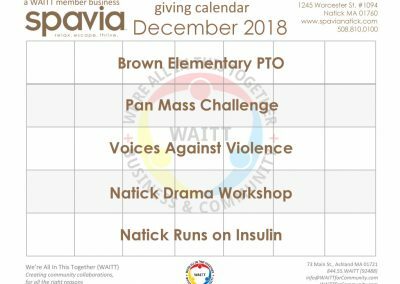 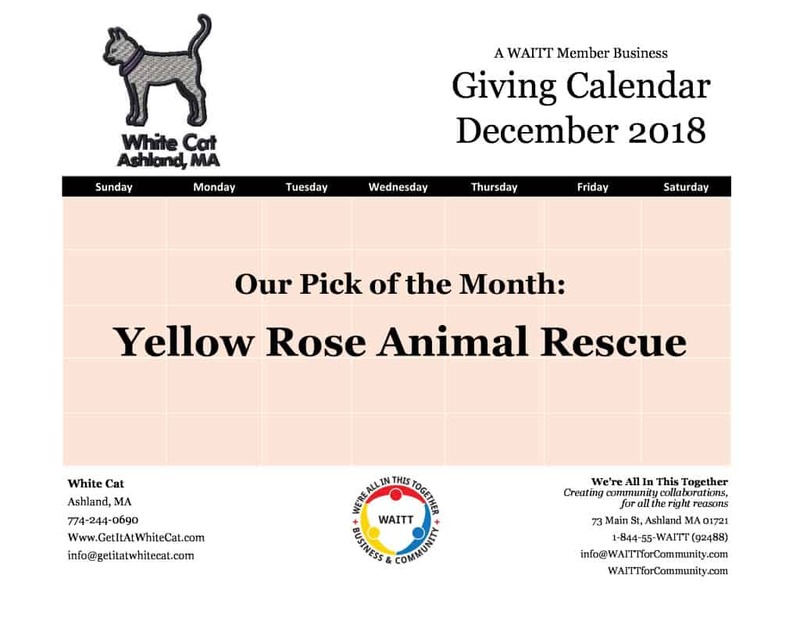 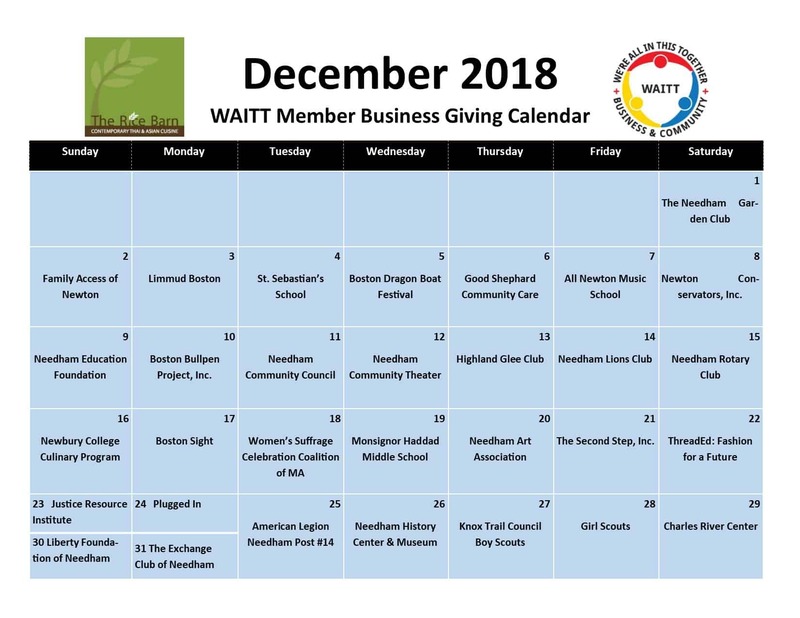 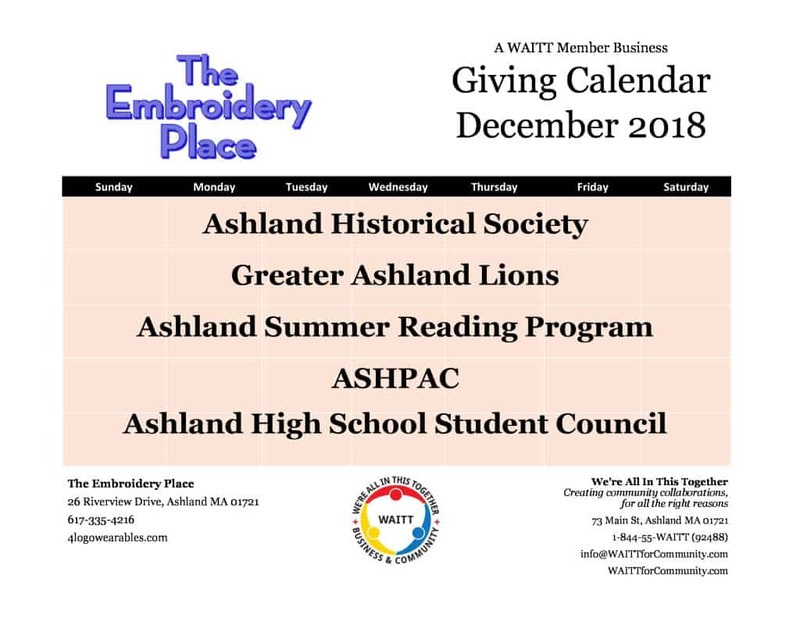 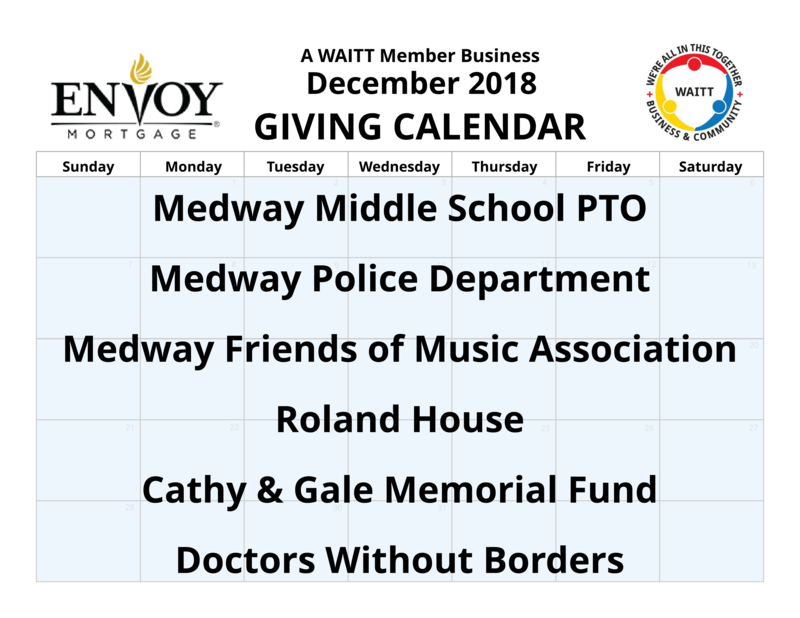 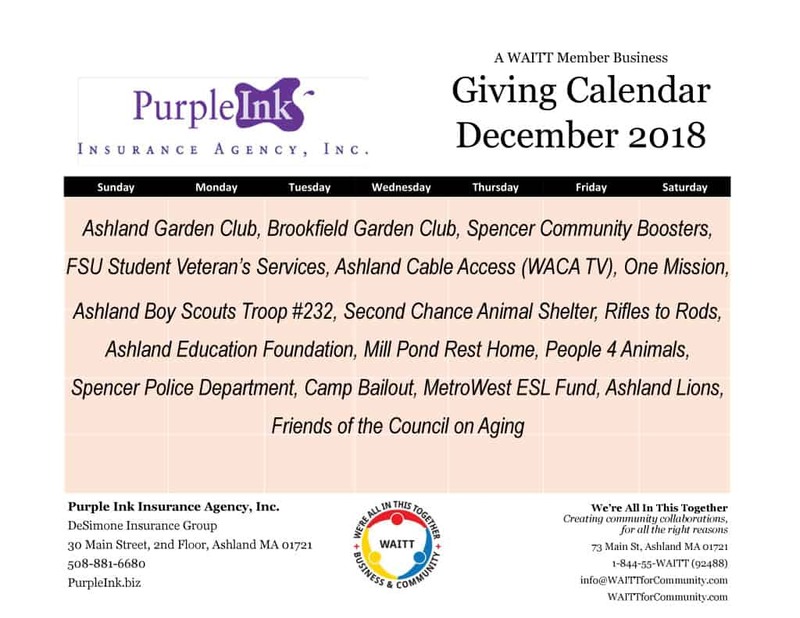 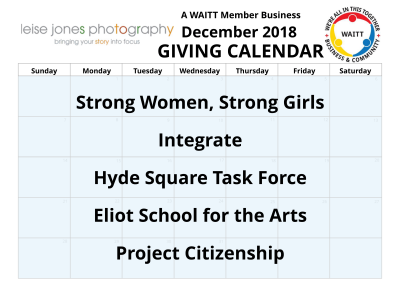 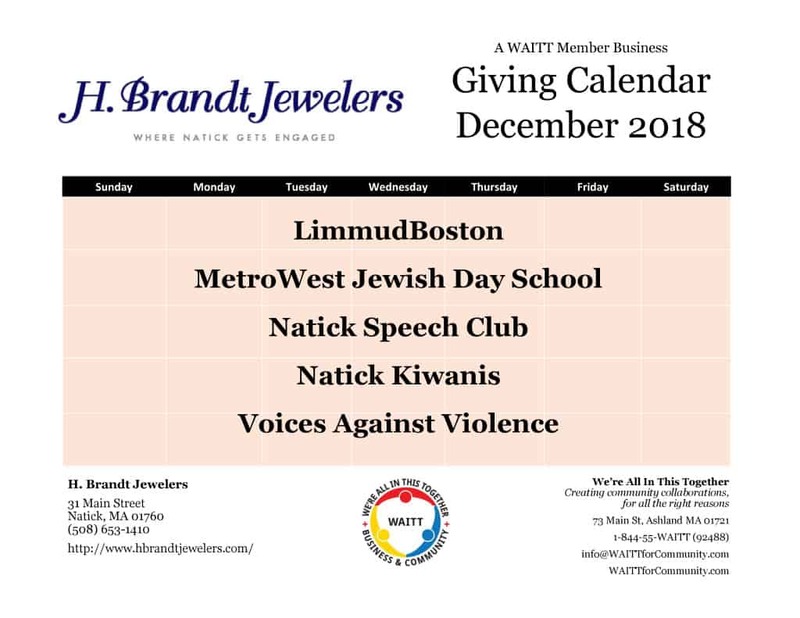 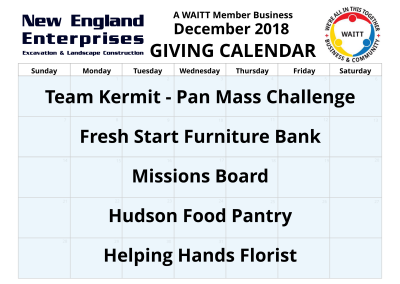 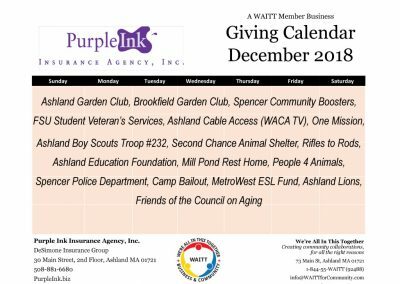 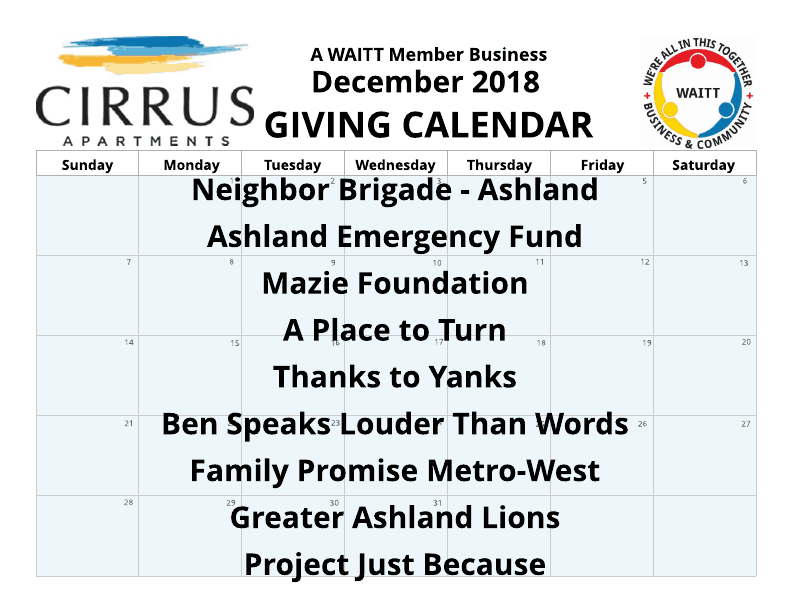 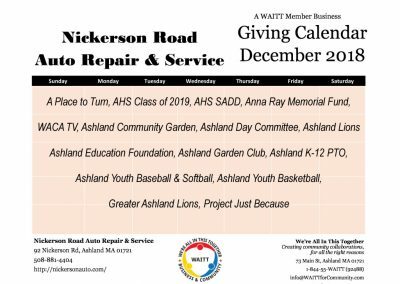 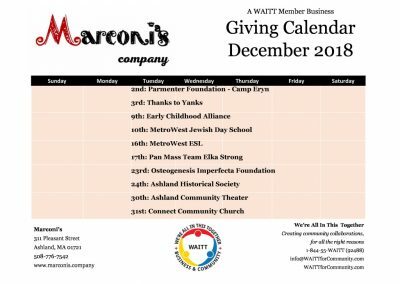 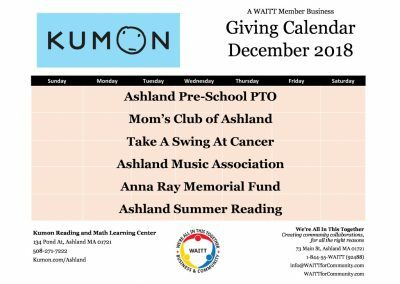 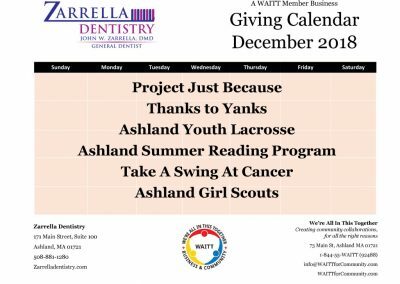 Below, are the December “Giving Calendars” for our Member Businesses. 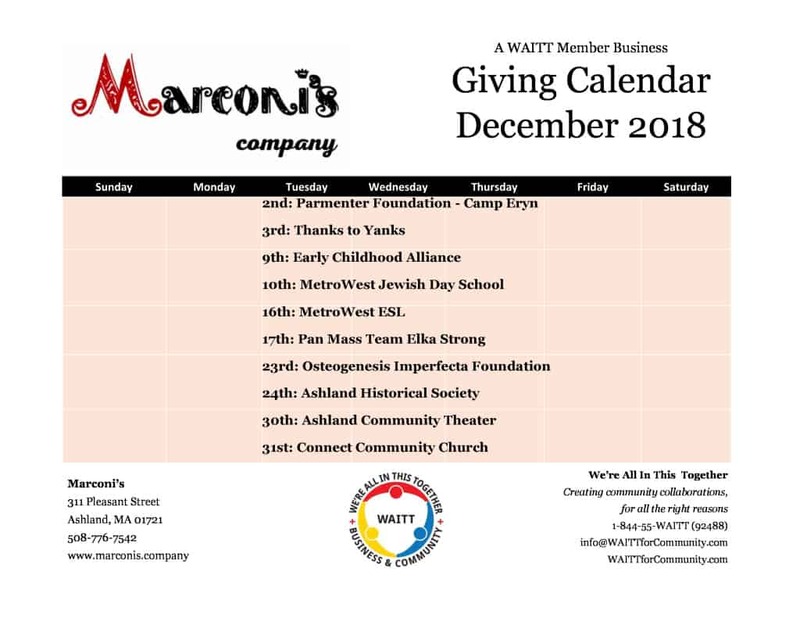 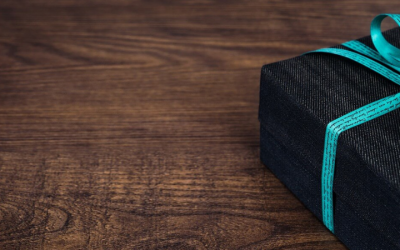 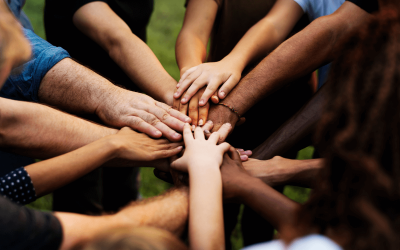 Each business has pledged to donate a percentage of their gross revenue to the local causes, non-profits and community-based organizations displayed on their calendar. 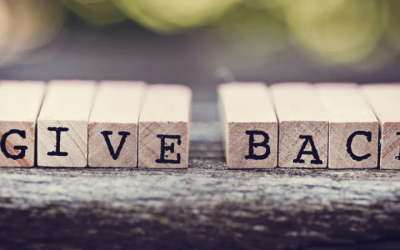 You can help spread the word about their generosity by sharing this page on social media.